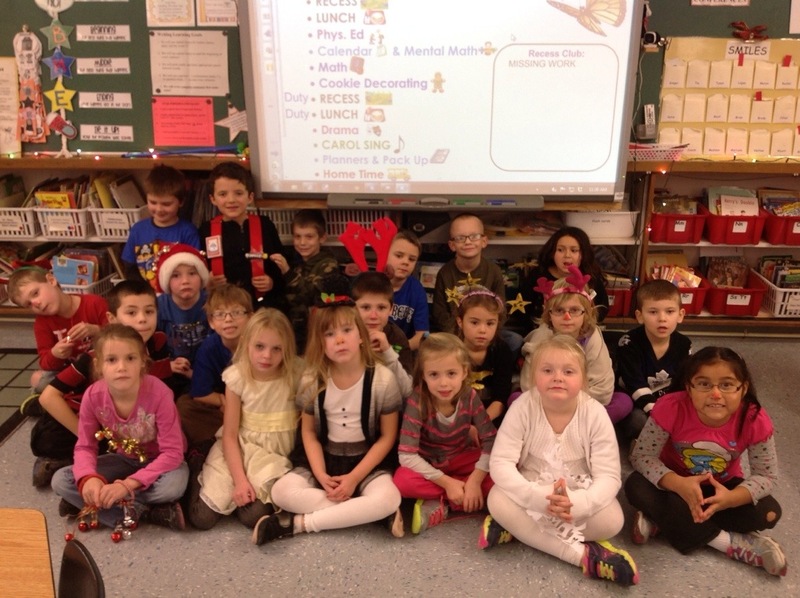 Today is our class, we dressed up as a Christmas song! There were some awesome ideas! Ginger dressed up as Suzy Snowflake. Maryn dressed up Silent Night. Boyd dressed up as Deck the Halls. Josiah, Logan, Maricela and Katie dressed up as Rudolph the Red Nosed Reindeer. Ryan dressed up as a Jingle Bell Rock. Erica dressed up as Jingle Bells. Tia dressed up as Frosty the Snowman. Mrs. Cassell dressed up as Santa Claus is Coming to Town. Ms. King dressed up as Let It Snow. Just checking to see what is happening with Maryn — see you next week — YAY!! You can leave her a comment there. Thank you and happy holidays!